﻿ Gold Coast Morib International Resort, Banting | FROM $24 - SAVE ON AGODA! "Relaxing resort with a private Jacuzzi in the room." Have a question for Gold Coast Morib International Resort? "Have a good time at the water park"
"Good spot for family or group gathering." 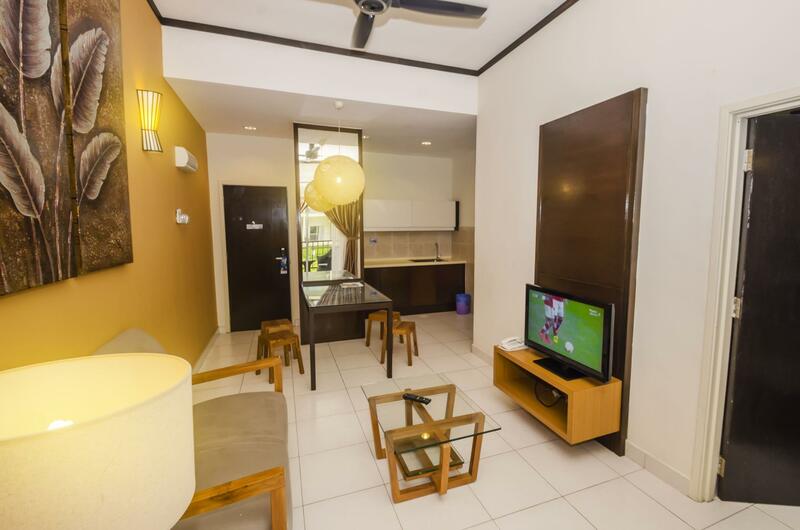 If what you're looking for is a conveniently located hotel in Banting, look no further than Gold Coast Morib International Resort. Only from the city center, the hotel's strategic location ensures that guests can quickly and easily reach many local points of interest. A haven of rest and relaxation, the hotel will offer total renewal just steps away from the city's numerous attractions such as Morib Beach. 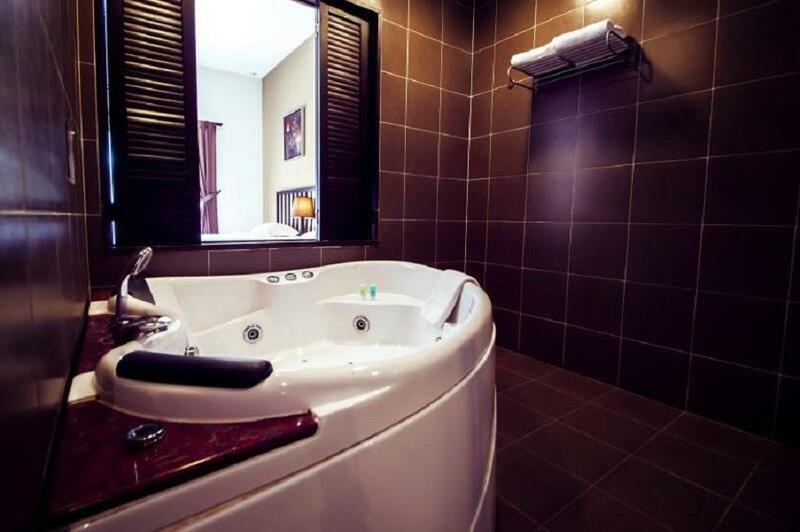 Gold Coast Morib International Resort also offers many facilities to enrich your stay in Banting. This hotel offers numerous on-site facilities to satisfy even the most discerning guest. Gold Coast Morib International Resort is home to 400 bedrooms. 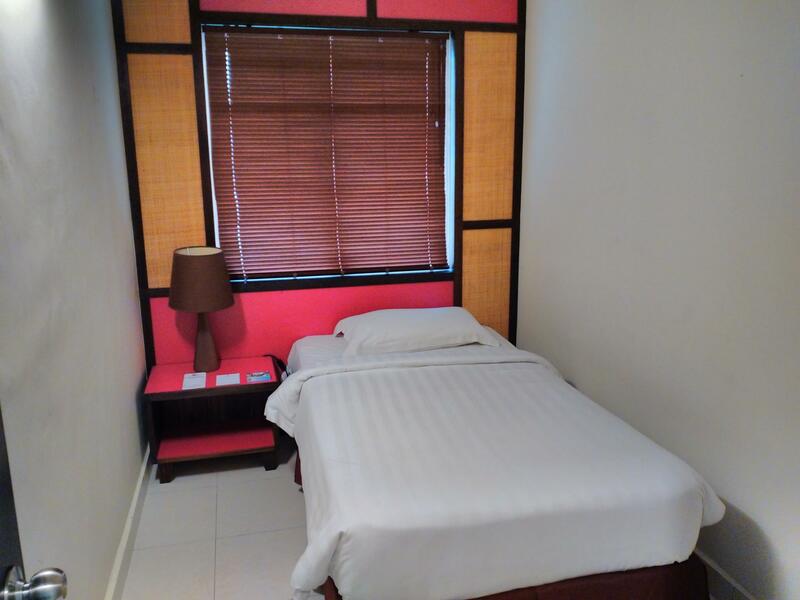 All are tastefully furnished and many even provide such comforts as television LCD/plasma screen, internet access – wireless, internet access – wireless (complimentary), whirlpool bathtub, non smoking rooms. The hotel's fitness center, outdoor pool, massage, pool (kids), garden are ideal places to relax and unwind after a busy day. Gold Coast Morib International Resort is your one-stop destination for quality hotel accommodations in Banting. "Bcz more comfortable to me." An additional charge will be required for use of the theme park. Water Theme Park is available from 10:00 AM to 06:00 PM. The Birthday Plan package is only applicable to guests with the birthday either one day before or after, or on the same day as the check-in date. Guests are required to provide proof of the date of birth to be eligible. Otherwise, guests will be charged an additional fee of MYR 53 and MYR 106 for stays during weekdays and weekends respectively, along with withdrawals from dinner, birthday cake, gifts, and certificates. This offer can be redeemed only once. Please also note that the admission pass to Water Theme Park is for two persons. It is poorly maintained and destined to close down in future. Like many other resort, ppl who use it do not have the love to cherish it and use things properly. While owners do not see much purpose in maintaining. Vicious cycle. The parking lot, the lobby, the lifts, the theme park, the surrounding,... not worth going. Dirty. Apartment with 3 room is small for the whole family and smell very bad. Upon arriving, have died cockroaches. the slide all stuck and poor maintenance. breakfast no variety. totally will not come again! The breakfast buffet choices is superb little which shall be improved as it is 4 stars resort. Unable to cope with high demand guests as the foods served very slow. Door creaking sound, furniture noise being pushed around, shady shadow over the curtain facing the estate/garden view at 3 to 4 am in the morning. Avoid garden view suite. There would probably be much lesser disturbance on the sea/pool view side. PROs + JACUZZI. A little cleaning and everything good to go. + Water theme park is kind of meh so-so but parents with kids surely gotta love it since this place is still "happening" despite the hotel drawing negative reviews over the years. CONs - from location to breakfast to the poor remote control & filthy towels. Oh my really need serious improvement! Not condemning, but the management surely can put a little effort on hiring the right staffs. Would love to try to give this place a second visit if only they'd pay some attention to their patrons' comments. Would be sad to lose such a gem to ignorant hotel management. The room was old and not well maintained. It was not really ready when we checked in. We had to request for the towels. There was no phone in the room. We had to go to the reception for even the smallest matter. The water park was just okay. Suited the price paid but not very clean. Nothing much for breakfast. The sound of water being pumped (or something) can be heard from our room as early as 2am, and became very loud after 5am. A disaster for light sleeper like me. + the room is clean and spacious, the best part is jakuzi, my kids really enjoyed the jazuki after they came from the water park, breakfast ok many choice. We love so much the waterpark, will come back again. - The staff name Haliza very unfriendly, she give me the wrong key for wrong room. I go down to lobby and complain but she with the muka sombong just pass the new room key without say sorry or smile. Maybe can change menu for breakfast need to do R&D and add on the new Menu. Pro - theme park Con - breakfast (too salty, not much option esp for kid, cordial instead of fresh juice, facilities (poor maintenance, no phone, no room service, no lock for sliding door) I have been to other resorts with same rating and some of it i paid less than here. But they offer better service , facilities and food compared to here. 1. Check in process after 2pm was very slow, waited in the que for nearly 1hr 15min. 2. Resort don't have any other attraction beside water park. 3. Celcom line reception was very bad. 4. Recommended for family with young children. Too far away from any places yet cannot get any grab car or extremely difficult to find taxi. Those without own transportation not advisable to stay here. Room facilities all very old, damaged and dirty like long vacant with nobody stay there....strongly not recommended. Its holiday season and customer are queuing for hours just to check in. Only 2 counter is open for check in and each customer took 10-20 mins just to get a room!!! What a supper slow process, some booking number are missing in the system and the manager never show up to settle the issue or even say sorry to the waiting customers. My children are super cranky because of the long hours wait and we are not allowed to late check out even with the issues with late check in because of their lousy system.. VERY DISAPPOINTING.. Such a waste.the location was great, near to the beach but not well manange.the toilet was terrible, combination of wood and water is a bad combination.the wood was rotten now.dark walkaway to the room.the lift was poor.the staff was okay very and helpful.not so much choices for breakfast.mamak stall was far better.if the condition of the hotel does not improve in the future i can this hotel will become a haunted in five years.